FOLDED: 52″ x 22.5″ x 4″, OPEN: 22″ x 48″ x 55″ | 3.2 lbs. 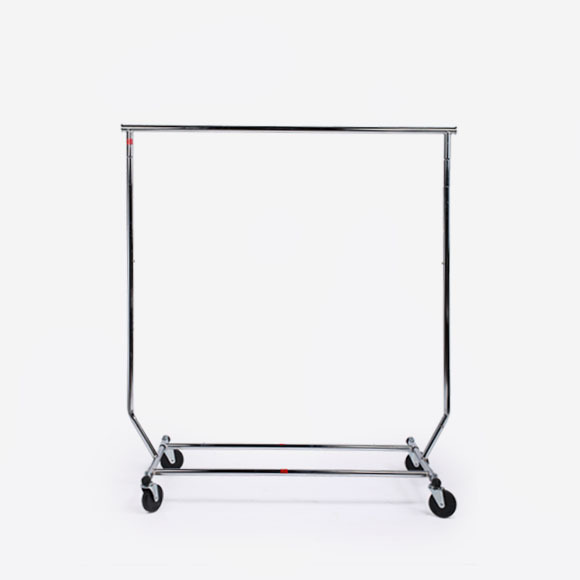 Rolling wardrobe racks are an essential production rental item for fittings and shoot days. Just make sure to ask your stylist how many they need before placing the order. Notes: The wardrobe rack easily folds flat for easy transportation. The height can be adjusted as well to accomidate long dresses and coats.